Estimates are that we get something like 5,000 marketing and sales messages a day, and with the holiday shopping season in full swing, that number probably has increased. But many of the sales pitches we receive may not come from those trying to get us to buy a new toaster or vacation in an exotic locale. Some come from those we work with, whether a colleague or a vendor. Do you pay attention when you feel a team member is trying to "sell" you something? Or do you tune that person out? If you're not receptive to the message, you're not alone. While we may ignore a sales pitch from our colleagues, the problem is that they're doing the same to us. If you're trying to sell an idea in a meeting to your team or boss, that means they may be unreceptive. Or if you're trying to sell yourself to an employer during a job interview, that person automatically might reject what you're saying. A better way to break down the resistance to a sales pitch is to use improvised conversations instead, Yastrow says. Using this method, your sales pitch becomes a conversation that focuses on the needs of the other person. Unlike a sales pitch, the other person is doing most of the talking, which automatically puts that person more at ease and not on guard against a sales push, he says. "Everybody feels like they need to be selling themselves and persuading people," Yastrow says. "But then we fall into the trap of thinking that our job is to explain, cajole and convince, and that's not how you get people to do what you want." Many companies find that teams are important because the collective intelligence of the group can drive more innovative, creative and strategic results. 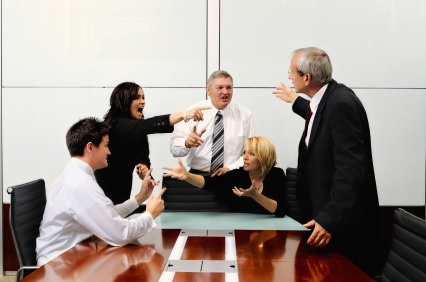 Unfortunately, sometimes a team’s collective intelligence seems to go awry and instead leads to chaos, back-biting, failure and threats of bodily harm. Such results are not desirable, of course, but that’s what can happen when teams don’t keep things simple. By reducing complexity, teams are better positioned to achieve desired results with greater efficiency (and less bloodshed). Establish clear goals. Teams need to avoid the kitchen-sink approach of trying to be everything to everyone. Christopher Avery, author of “Teamwork is an Individual Skill,” advocates that each team member must agree on the shared purpose of why the team exists and what it wants to accomplish. “When groups pursue a direction determined by majority or authority, those who dissent (either vocally or silently) can lose energy,” he says. He suggests asking, “How can we change this proposal so that it works for you?” as a way to reach a clear goal that gets the buy-in of everyone. Get rid of a wish list. If it’s key, keep it. If not, get rid of it. Having too many things on a team’s plate can be demoralizing when all the objectives can’t be achieved. Earlier this year, the Gallup Organization asked Americans about the trust they had in various institutions, including Congress. Congress received its lowest rating ever since Gallup began the poll in 1973. Only 10% of respondents said they have a "great deal" or "quite a lot" of confidence in Congress. Those results may not really surprise many Americans, but they might be taken aback to learn in their own work life, their colleagues, bosses or employees may not trust them, either. Another Gallup survey finds that only 30% of the 100 million full-time workers are actively engaged in their work. That lack of engagement stems from a lack of trust in an organization or a boss, says Nan S. Russell, author of Trust Inc.
Just as a lack of trust among lawmakers slows down business, so does a lack of trust and engagement in the workplace. Gallup estimates that the 70% of workers who are not engaged cost $450 billion to $550 billion a year in lost productivity. In addition, disengaged and distrustful workers are less collaborative and innovative, Russell says. "Part of the problem is that we always believe the lack of trust is someone else's problem," she says. "But the answer to developing better trust comes person to person." That means that a boss who wants to develop more trust within his team doesn't wait for human resources or a corporate training program but instead moves ahead on his own to improve team members' confidence in one another. "I think the biggest mistake people make when they think about trust is that they get it backwards," she says. "We look for people we can trust, instead of thinking about whether we are worthy of their trust. It's a mindset." 1. Piling on the hype. If you over promise and under deliver, it shows you don't take your words seriously — so no one trusts them. 2. Broadcasting distrust. Dictating to others and micromanaging can convey loudly and clearly that you don't trust others to do what needs to be done. Hear that whooshing sound? That’s the collective sigh of relief from Microsoft employees who won’t be subjected anymore to the company’s despised stack rankings. Under that system, employees were essentially forced to compete against one another to receive excellent performance rankings. The rankings were supposed to cull the weakest from the herd, but instead it led to employees feeling helpless and somehow encouraged to backstab colleagues to get a better ranking. It’s estimated that at least 30% of Fortune 500 companies use such rankings that rate employees along a curve. For example, an employer might state that a manager can only put 10% of employees in a top category, while 2% must be in the bottom group. “Everybody does it, and almost everyone who’s evaluated hates it. It’s a pretentious, bogus practice that produces absolutely nothing that any thinking executive should call a corporate plus,” Culbert says. Under that scenario, an employee outlines what kind of supervision helps him or her operate most effectively and what kinds of past management practices cause a problem in getting work done. The manager then shares with the worker what is needed for the manager to be most effective. 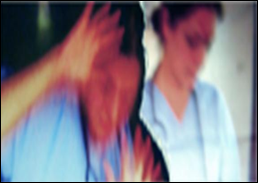 When we hear about incidents of workplace violence, it often seems like something that never could happen in our workplaces. Statistics from the Occupational Health and Safety Administration show that homicide is the fourth leading cause of fatal occupational injuries in the United States. The Bureau of Labor Statistics finds that of 4,547 fatal workplace injuries reported in 2010, 506 were workplace homicides. Further, homicides are the leading cause of death for women in the workplace. On Sept. 16, a lone gunman fatally shot 12 people and injured three others at the Washington Navy Yard in our nation's capital, spurring more conversation about workplace safety. Bad people are out there who want to harm good people, so we must admit that we need to be prepared for violence at work, a former Navy SEAL says. Just as workers may practice cardiopulmonary resuscitation or a fire drill, they also should practice how to evade or stop someone bent on hurting others. Larry Yatch, chief executive of Minneapolis-based Sealed Mindset, provides programs on personal protection, defensive firearms and self-defense programs. One mistake that people make is believing that if they're kind, moral and trusting, other people will be the same, he says. Unfortunately, bad people have proven that they have none of those qualities. Another mistake some people make is thinking that they somehow will attract violence if they think about it, he says. But if companies and their employees don't think about violence and how they will respond to it, they won't be ready to react properly when it happens. And a lack of training could get them hurt or killed, Yatch says. A workplace's risk level may rise if it has high turnover, a highly negative culture, disagreements or employees facing domestic violence. If a company were to respond more proactively to such risks — such as posting a security guard near an worker experiencing violence at home — it can reduce risks. While some may balk at the idea of planning for violence, he points out that fear often paralyzes workers during a shooting or causes them to make bad decisions that can risk their lives. Once employees are trained on the best ways to react to threats, Yatch says their fear dissipates because they feel more in control. • Identify threats. Processes need to be in place that help employees ID potential problems and communicate them to bosses or human resources staffers. You have to introduce yourself to the security guard every day to gain entrance to your office, and you’ve worked at the company for three years. At last year’s holiday gathering, the office manager mistakenly thought you were the Federal Express driver and handed you two packages instead of a glass of wine. You were out sick for nearly a week before anyone noticed you were gone. Such treatment may frustrate you, or you may care less. But unless you’ve been wearing Harry Potter’s cloak of invisibility, you need to be concerned with such a lack of popularity. While being unpopular in school may not have mattered to you, being unpopular at work can mean you earn less money, aren’t considered for promotions and may be thought of only when the company is putting together a layoff list. Toiling in obscurity may seem ideal to you, but it can be devastating to your career. It also can lead to less satisfaction at work, as research shows that strong social connections on the job can improve productivity, make you more passionate about what you do and less likely to quit your job. A Gallup Organization survey found that having close friendships at work can boost employee satisfaction by as much as 50%. Listening better. When was the last time you had a conversation with someone who wasn’t tapping away on a smartphone, glancing at email or appearing distracted? If you offer your undivided attention to someone, you convey the message that you think they’re important. If you become a good sounding board, others are more likely to seek you out more often. Using good manners. Teenager Maya Van Wagenen was new to her Brownsville, Texas , school and wanted to be more popular. So using a 1950s etiquette book called “Betty Cornell’s Teen-Age Popularity Guide,” Van Wagenen began to follow advice such as being yourself, not putting on “airs” and treating everyone with the same kindness. The advice not only helped the teen become more popular, but the chronicling of her efforts garnered her a $300,000 book deal. DreamWorks has optioned movie rights to the book. If being nice and polite can make a teenager popular and successful, why not you? Stress can mean different things to different people, but the American worker clearly has plenty. • Interruptions ruin our day. A survey by AtTask finds that 37% of workers say interruptions lead to "work hell." • We work too much. Some 57% of workers put in more than 40 hours a week while 8% work more than 60 hours a week, the AtTask survey finds. • Financial worries abound. "High" or "overwhelming" is how 19% of those surveyed by Financial Finesse describe their financial stress in the third quarter of this year, compared to 13% for the same time last year. 43% worry how the U.S. economy and the stock market will affect their financial future. • We don't take enough downtime. A recent Expedia survey finds that while the average American worker gets 14 days of vacation time a year, they take only 10. That's two more unused vacation days than the previous year, Expedia reports. "No one retires wishing they'd spent more time at their desk," says John Morrey, vice president and general manager of Expedia. "There are countless reasons that vacation days go unused — failure to plan, worry, forgetfulness, you name it." Companies are beginning to become concerned with the workers who don't take better care of themselves. Stress increases health risks, unhealthy workers are less productive and engaged, and they drive up health-care costs, experts say. Many workers know they need to take better care of themselves but find it difficult to start living healthier or maintaining healthy habits. That's why more employers are encouraging healthier behavior. Workers aren't taking the necessary steps. That can mean employers take the "carrot" approach and provide cash incentives for employees achieving certain health goals. Or, employers may adopt a "stick" approach, punishing workers with higher insurance deductibles iif they are overweight or smoke. Other employers are looking for ways to encourage not just employees to become healthier but also their workers' families and network of friends. Wellness experts say an employee can become healthier more easily if his family also eats the right food or friends agree to exercise, too. One program that takes this social approach to health is Keas, an employer health and engagement company. Josh Stevens, Keas chief executive, says that his company offers a Facebook-like program that allows workers, their friends and families to communicate online about their exercise and diet. He contends that this socialization is key to driving good health since most workers already are operating under information overload and don't want to be inundated with health information from their employer. But if a friend or family member talks about a fun way to exercise or brags about losing weight by eating healthier, that can help spur the employee into also adopting better habits, he says. Many workplaces don't like workers using Facebook on the job, but the truth is that many employees rely on this connection to help them relieve the stress of their day. So, taking a "if you can't beat 'em, join 'em" approach, he says employers can let workers enjoy the social aspect of online connections and learn ways to become healthier. Workers are aware that they need to be healthier, and may be looking for the approach that works for them, Stevens says. His company's recent survey found that 86% of those surveyed believe that exercise boosts happiness.